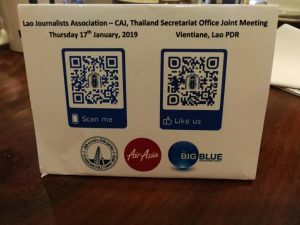 The Lao Journalists Association (LJA) announced its readiness to welcome journalists from the ASEAN countries to attend in the Confederation of ASEAN Journalists’ Board of Directors Meeting to be held on March 27-30, 2019 in Vientiane. 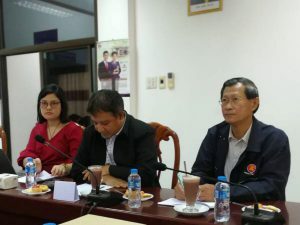 Initial preparations for the meet were discussed during a meeting last week between representatives of LJA and a delegation of CAJ led by its secretary general Damrit Viriyakul and Chavarong Limpattamapanee, a member of CAJ Board of Directors. They met their counterparts led by Thonglor Duangsavan, Lao Government’s Director of Lao Press in Foreign Languages and Editor-in-chief of Vientiane Times, and Vorasack Pravongviengkham, Deputy Director of Lao National Radio and a member of the CAJ Board of Directors. Laos has scheduled the upcoming meeting of the CAJ Board of Directors for March 27-30 in Vientiane. Both sides agreed to cooperate closely with the CAJ Secretariat in Thailand which currently holds the CAJ presidency for 2018-2020. 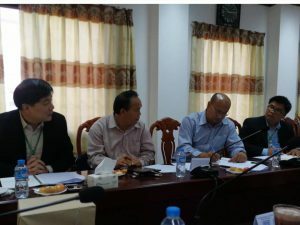 Mr Thonglor said during the meeting of the CAJ Board of Directors, President of LJA Mr. Savankhone Razmountry, who is also Deputy Minister for Information, Culture and Tourism, will also take the CAJ delegations to visit Nam Ngum Dam power plant, located about 90 kms from Vientiane. The electricity produced by the dam is used domestically and also sold to Thailand. In addition, the CAJ delegations will also have a chance to visit the construction site of Laos’ high speed railway at the north Vientiane station under the Belt and Road Initiative of China as well as to visit new wood museum which which is due to open in late January. The upcoming meeting will be supported by the Lao Government and both Thai and Lao private sectors which include Thai Air Asia, Ch. Karnchang, and Big Blue Agency. Mr. Damrit said Thailand will be assisting its Lao counterpart in organizing the meeting. Laos will take over the CAJ chairmanship during 2022-2024 after Indonesia.